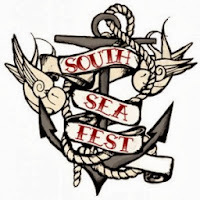 Having already descended upon the Portsmouth region for the above-par Victorious Festival, I made my triumphant return for Southsea Fest. A multi-venue, urban-based, new music festival similar to The Great Escape and The Camden Crawl, Southsea Fest showcased over a hundred bands for its latest edition. Fratton down the hatches, here's our review. Somewhat unexpectedly, I just about managed to catch the dying embers of Crows set - a much noisier proposition than I had otherwise been led to believe. But very much in a good way. The bad side of things was that they were running half an hour late. Considering they were they second band on for the day, that didn't bode well. Luckily, such delays were actually quite rare across the many venues. My first proper Southsea Fest experience came via George Ezra, playing in an upstairs bar that required negotiating a narrow spiral staircase. The reward for completing the challenge was an excellent set from the Bristolian, whose tender tunes bear reminiscence to Matt Corby. His endearing between-song banter suggest that he is well on his way to establishing a strong identity of his own. The next stop was to head to the Edge Of The Wedge, somewhat confusingly within another Southsea Fest venue, The Wedgewood Rooms. With odes to Pavement and Weezer, Radstewart provided a sharp set in the Edge Of The Wedge, that was disappointingly short. Although that allowed me to witness the whole of Flyte's performance in the larger adjacent venue. The band's online demos hadn't enraptured me but they were obviously doing something right, having just signed to a major label. All became clear in their tight live set - bouncy indie vibes that could easily equate to commercial success. They strangely took an about turn toward the end of their slot, going acapella in what felt like a 'Songs Of Praise' offcut. The experimental percussive output of Cosmo Sheldrake came next. His cheeky nature proving increasingly endearing, and vital to capturing the attention of a crowd presented simply with one man and some electrical equipment. His songs proved equally as arresting, with their remarkable collection of sounds, generated from Sheldrake's voice and otherwise. The following act, Misty Miller, didn't seem to be having quite as much fun during Sheldrake's set - displaying what has been popularly described as "bitchy resting face" as she waited to go on. She was more enthusiastic when it was her opportunity to play, although her rock'n'roll stylings didn't quite hold my attention. A band that did grab my attention were Sons & Lovers in the rather beautiful setting of The Kings Theatre. The seated nature of the venue didn't suit the band's soaring anthems but the sound was fantastic - thankfully so, considering how long the band spent soundchecking. Big hooks characterise the stadium pop of Sons & Lovers, and hopefully larger audiences await in the near future. Running over to The Wedgewood Rooms, I find The Family Rain delivering an impressive burst of garage blues rock before running back to The Kings Theatre for MMX. Hotly tipped, and hotly dressed, the band's performance was far too indebted to Hurts - suffering by comparison. A sad end to an otherwise enjoyable day. 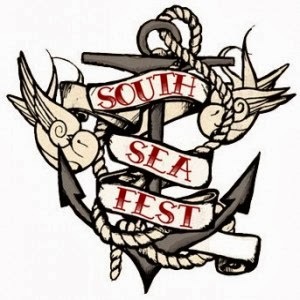 We may well meet again, Southsea Fest.